The Films of Samuel Fuller If You Die, I'll Kill You! A groundbreaking filmmaker dogged by controversy in both his personal life and career, Elia Kazan was one of the most important directors of postwar American cinema. In landmark motion pictures such as A Streetcar Named Desire, On the Waterfront, East of Eden, and Splendor in the Grass, Kazan crafted an emotionally raw form of psychological realism. His reputation has rested on his Academy award-winning work with actors, his provocative portrayal of sexual, moral, and generational conflict, and his unpopular decision to name former colleagues as Communists before the House Un-American Activities Committee in 1952. But much of Kazan’s influential cinematic legacy remains unexamined. 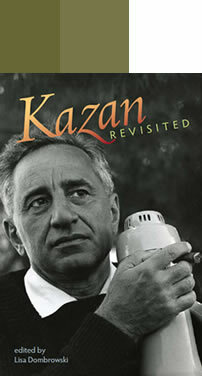 Arriving in the wake of his centenary, Kazan Revisited engages and moves beyond existing debates regarding Kazan’s contributions to film, tackling the social, political, industrial, and aesthetic significance of his work from a range of critical perspectives. Featuring essays by established film scholars and critics such as Jeanine Basinger (The Star Machine), Leo Braudy (On the Waterfront), Mark Harris (Pictures at a Revolution: Five Movies and the Birth of the New Hollywood), Kent Jones (Physical Evidence: Selected Film Criticism), Victor Navasky (Naming Names), Jonathan Rosenbaum (Essential Cinema), Richard Schickel (Elia Kazan: A Biography), and Sam Wasson (Fifth Avenue, 5 A.M.: Audrey Hepburn, Breakfast at Tiffany’s, and the Dawn of the Modern Woman), the book is a must for diehard cinephiles and those new to Kazan alike. "A must for movie lovers, this terrifically readable collection is striking for its breadth of critical perspectives on a complex directorial personality. This is not just an unqualified celebration of Kazan and his work but a mosaic of very different points of view."